Surfboards are expensive! Not only are they hard to build, but the hand shaped ones are truly a work of art. Built only after years of testing and development, the surfboard shaper is a true craftsmen. It takes a ton of hours and highly skilled individuals to create each board. From the shaper to the glasser and sander, a lot of time and effort is invested. This means the cost of building a board is high and thus the retail price isn’t cheap. A lot of surfers can’t afford a full quiver of boards so finding ones that can handle a wide range of conditions is essential. Here in the NW, we have two predominant swell seasons. In the Spring and Summer we get smaller, short period lackluster waves. Our Fall and Winter sees much larger and stronger swells coming out of the North Pacific. Finding the right boards for these different conditions is essential to maximize your wave count and fun factor. 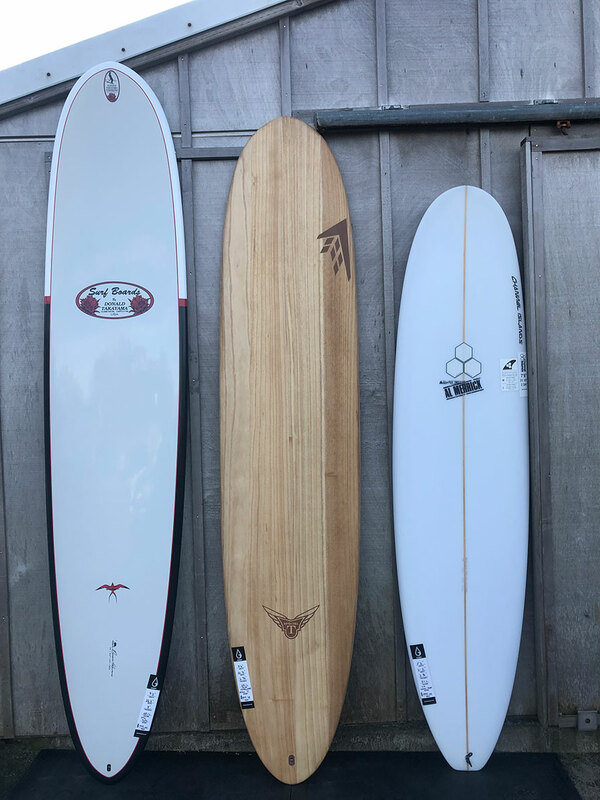 After years of surfing here and selling boards in the shop, we’ve broken it down to three boards every surfer in the NW should own. We also included samples from some of our favorite shapers. Tony Perez on his ...Lost X Lib Puddle Jumper. 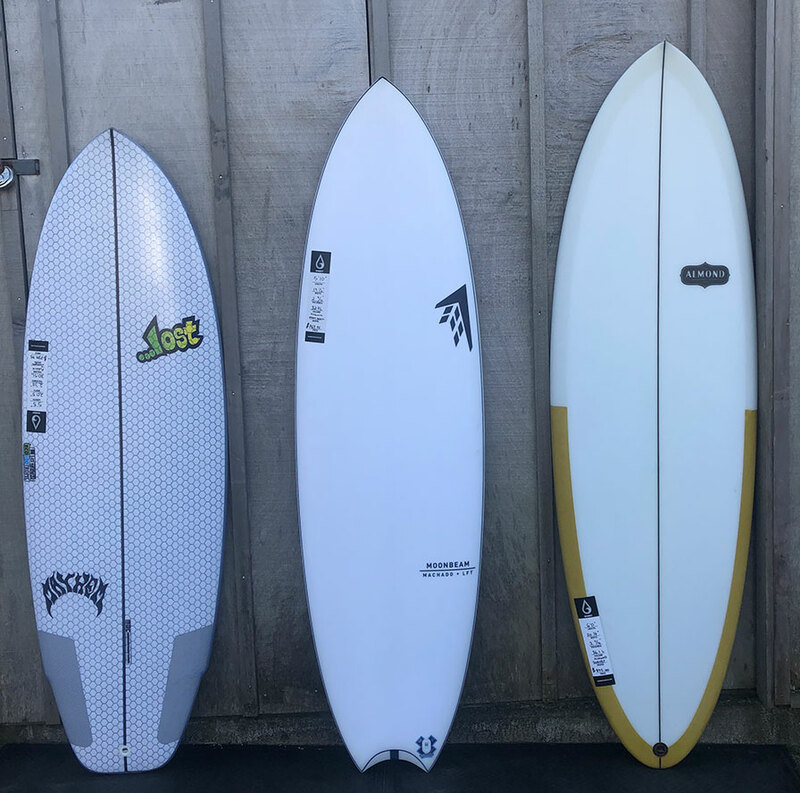 From L to R: ...Lost X Lib Puddle Jumper, Firewire Machado Moonbeam, Almond Survey. Team Rider Tony Perez on his step up last winter. From L to R: Channel Islands Taco Grinder, Lost Crowd Killer, FCD Huevo Ranchero. Lesson master Gary Hopez using his performance longboard. 3) All Year Performance Longboard - Everybody should have a longboard in their quiver! Since the majority of our surf spots are beach breaks, a performance longboard works much better than a larger log style board. We are not blessed with long running point breaks, which are ideal for traditional longboarding. We need more agile boards for our quick and short beach breaks. They are also good when the surf gets bigger due to having more rocker, less volume, and are usually designed with a 2 + 1 or thruster fin set up. 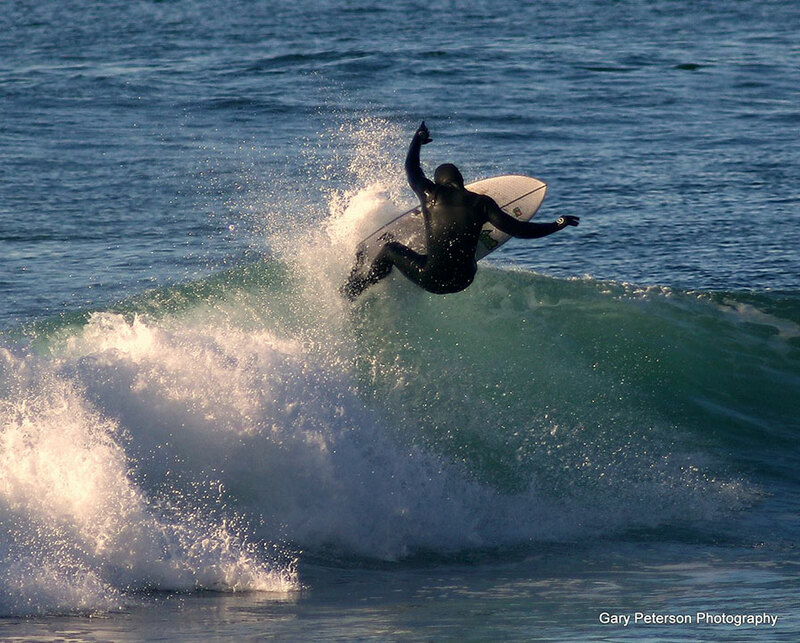 They work very well for catching our slopey peaks during the winter and you will often find our surf instructor Gary sitting way outside on his performance longboard waiting for the biggest set of the day. 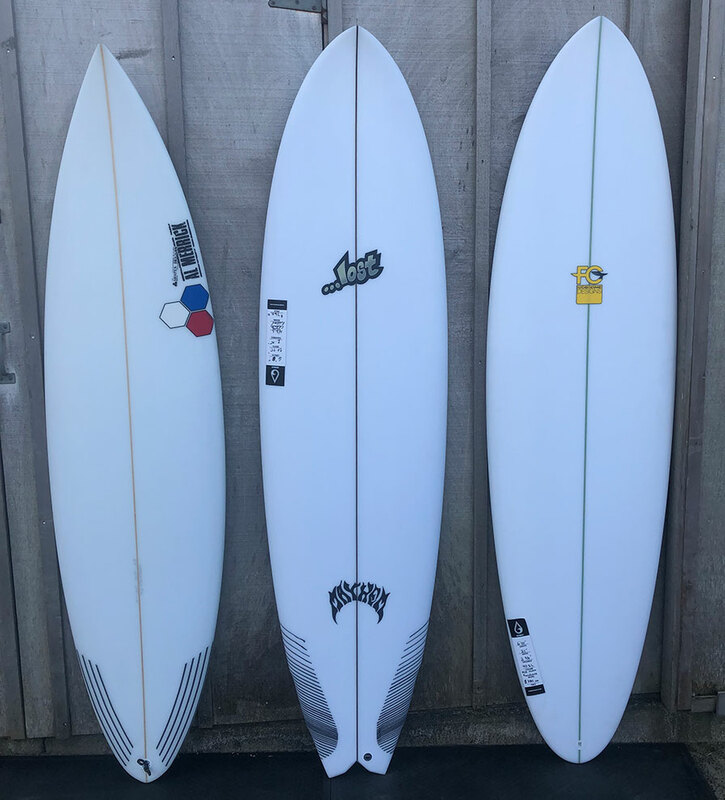 From L to R: Donald Takayama DT-2, Firewire Special T, Channel Islands Waterhog.